Engineer is a technical typeface created by Bartek Nowak and published by his own foundry, GRIN3. 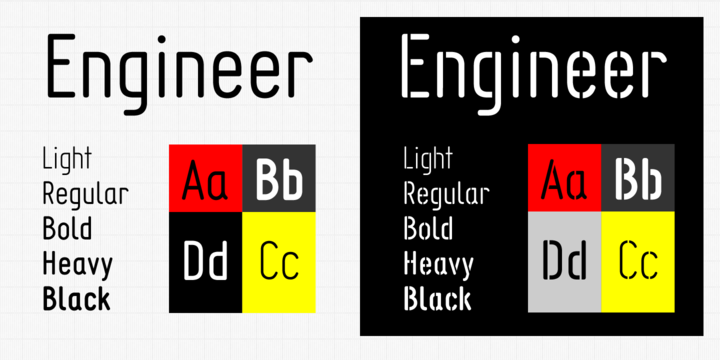 Coming with rounded sans-serif forms, Engineer is redesigned after another of his own font from 2001, Techniczna Pomoc. This font fits greatly in a technical environment like engineering or architecture signs. A font description published on Wednesday, April 24th, 2013 in Fonts, GRIN3 (Nowak) by Andrei that has 4,652 views.